Robinson Jose Canó played basketball and baseball at San Pedro Apostol High School...Wears uniform number 24 to honor Baseball Hall of Famer Jackie Robinson, his namesake, whose number 42 has been retired throughout Major League Baseball...Along with his mother, Claribel, and father, José, established the RC22 Foundation in 2011 designed to provide hope to sick and underprivileged children in New York City and the Dominican Republic…In 2015, opened the RC22 DREAM School and early childhood education center in San Pedro de Macoris...Has a children's wing named after him (The Robinson Canó Pediatric Occupational Therapy Suite) at Hackensack University Medical Center...His father, Jose, was a pitcher in the Yankees, Braves and Astros organizations; appeared in six games with the Astros (three starts) in 1989...Visited the residence of the U.S. Ambassador to the Dominican Republic on 1/27/11 as part of MLB's "Dominican Baseball Families" initiative to support projects undertaken by the MLB Dominican Development Alliance...Finalist for the 2006 and 2017 Roberto Clemente Award, given annually to the Major League Baseball player who combines outstanding skills on the baseball field with devoted work in the community...Received 2010 "Joe DiMaggio Toast of the Town" Award from New York Chapter of the BBWAA...Was also given the 2010 "Player Citizen of the Year" Award from latinobaseball.com. Sustained a fractured fifth metacarpal on his right hand after being hit by a pitch on May 13 at Detroit...Placed on the 10-Day Disabled List on May 14...The following day, was suspended by Major League Baseball for 80 games for violating MLB's Joint Drug Prevention and Treatment Program...Returned from suspension on August 14...In 41 games after being reinstated from the restricted list, hit .317 (53-167) with 12 doubles, six home runs, 27 RBI and 20 runs scored…From his reinstatement through the end of the season, ranked second in the AL in hits, ninth in batting average, tied for ninth in doubles and tied for 11th in RBI...Hit his 10th home run of the season on September 24 vs. Oakland to give him 14 consecutive seasons with double-digit home runs, the second-longest active streak in the majors, trailing only Albert Pujols (18-straight seasons)…Ranks second alltime for most seasons with double-digit home runs as a primary second baseman (Jeff Kent, 16)...Hit .333 (36-108) against lefties, third-best in the majors among left-handed batters (min. 100 PA)...Made his first start at first base on August 14 at Oakland...Started at third base for the first time in his career on August 22 vs. Houston...Prior to those games, had never started in the field at a position other than second base in his major league career. The Totals- Hit .280 (166x592) with79 runs, 33 doubles, 23 home runs and 97 RBI in 150 games with Seattle...Mr. 300- Hit his 300th career homerun on September 21 vs. Texas…became the 3rd primary 2ndbaseman in Major League historywith 300 career home runs (RogersHornsby, 301, and Jeff Kent, 377)...Exclusive Company- With his 300th career home run, became the 16thplayer in Major League history torecord a career batting average of.300 or better while collecting at least 1,000 runs, 2,000 hits, 500 doubles, 300 home runs and 1,000 RBI…joins Edgar Martinez, Hank Aaron, George Brett, Miguel Cabrera, Lou Gehrig, Todd Helton, Rogers Hornsby, Chipper Jones, Willie Mays, Stan Musial, Albert Pujols, Manny Ramirez, Babe Ruth, Al Simmons and Ted Williams...Double Trouble- Recorded his 500th career double on August 4 vs. Kansas City, making him one of 63 players in Major League history with at least 500 doubles…became the7th 2nd baseman (primary position) in MLB history to collect 500 doubles, joining CraigBiggio (668), Nap Lajoie (657), Charlie Gehringer (574), Jeff Kent (560), Rogers Hornsby(541)and Roberto Alomar (504)...Star of the Show- Earned his 8th career trip to All-Star Game…hit a go-ahead home run in the top of the 10th inning to propel the AL to a 2-1 win over the NL in the 88th All-StarGame on July 11 in Miami…earned the Ted Williams Most Valuable Player Award, joiningKen Griffey Jr. (1992 at San Diego) and Ichiro Suzuki (2007 at San Francisco) as the onlyMariners to be named MVP of the Midsummer Classic…was the first American Leaguerin the history of the All-Star Game to homer in extra innings and just the 4th player to doso from either league… finished 1-for-2 with 1 run, 1 home run and 1 RBI...Good Company- With 300 career home runs and 500 career doubles, is one of 5 players in MLB history to reach those milestones by the end of their age-34 season, joining Hall of Famers Lou Gehrig and Stan Musial and active players Albert Pujols and Miguel Cabrera...30-for-30- Collected his 30th and 31st doubles of the season on September 9 vs. the Angels…marked his 13th consecutive season with 30+ doubles, joining Stan Musial asthe only players in Major League history to collect that many doubles in 13+ straightseasons ...Canó is the only player to do so in the first 13 seasons of his career...Keystone Pop- Belted his 20th home run of the season on September 2 vs. Oakland,becoming the first American League 2nd baseman (primary position) with 8 seasons of at least 20 home runs…surpassed Joe Gordon, who had 7 such seasons…among all 2ndbasemen, trails only Jeff Kent, who had 12 such season, all in the NL...Ducks on the Pond- Led the AL with 51 hits with runners in scoring position, rankingahead of teammate Nelson Cruz (50), Mookie Betts-BOS (49) and Eric Hosmer-KC (49)...Extra, Extra- Had 14 extra-base hits (9 2B, 5 HR) vs. the Angels, tied for the most vs. theHalos in a single season (also: Reggie Jackson-OAK, 1969 and Alex Rodriguez-TEX, 2003)...Ouch- Sat out the 4-game series at Toronto, May 11-14, with a sore right quad…placedon the 10-day disabled list with a right quad strain on May 16 (retroactive to May 13)…activated from the DL on May 23. 1935), Lou Gehrig (3,674 - 1923-1934) and Alex Rodriguez (3,576 - 1994-2005).Keystone Power - Hit 247th career home run as 2nd baseman on June 17 at Boston, passing Joe Gordon for most at keystone in AL history. • Milestone - Recorded 1,000th career RBI in 1,707th career game on April 26 vs. Houston, the 5th fastest 2nd baseman to reach 1,000 career RBI (Tony Lazzeri: 1,417; Jeff Kent: 1,486; Bobby Doerr: 1,552 & Charlie Gehringer: 1,593)…recorded 6 RBI in that game (4/26), equaling career-high (3x, last: 10/3/12 vs. BOS w/NYY).• 1,000-1,000 - 1,000th career run on June 5 at Texas…since RBI became official stat in 1920, is 1 of 6 players with 1,000+ runs and 1,000+ RBI through first 12 MLB seasons (also: Lance Berkman, Miguel Cabrera, Matt Holiday, Carlos Lee & Albert Pujols). • Double Time - Doubled to left field in 1st inning on Sept. 3 vs. Angels, his 12th consecutive season with 30+ doubles…one of four players in MLB history to record 12 or more straight seasons with 30+ doubles, joining Stan Musial (16 seasons: 1942-1958, DNP in 1945), Tris Speaker (12: 1916-1927) and Honus Wagner (12: 1899-1910)…only player in MLB history with 30+ doubles in each of first 12 seasons (STATS Inc.).• Happy 50 - Homered on August 2 vs. Boston, giving him 12 consecutive seasons with 50+ extra-base hits…is 4th player in MLB history with 50+ XBH in first 12 seasons, joining Carlos Lee-CWS/MIL/TEX/HOU (13, 1999-2011), Albert Pujols-STL/LAA (12, 2001-2012) & Eddie Mathews-MIL (12, 1952-1963)...is first 2nd baseman (primary career position) in MLB history to record 12 seasons with 50 or more extra-base hits.• Double Up - Has 479 doubles through first 12 MLB seasons, 4th in MLB history through first 12 seasons…trails Albert Pujols (505), Joe Medwick (483) & Paul Waner (481). • XBH Club - Has 790 extra-base hits as 2nd baseman, 8th-most at keystone…trails Craig Biggio (1,014), Rogers Hornsby (1,011), Jeff Kent (984), Charlie Gehringer (904), Nap Lajoie (902), Joe Morgan (813) and Roberto Alomar (794).• 30 Rock - Hit 30+ home runs for 2nd time (33 HR, 2012 w/NYY)…one of 5 AL 2nd basemen with multiple 30+ home run seasons (Alfonso Soriano-3, Ian Kinsler-2, Bret Boone-2 & Joe Gordon-2) and one of 10 2nd baseman in MLB history with multiple seasons with 30+ homers (also: Dan Uggla, 5x: 2007-11, Rogers Hornsby, 3x: 1922, 1925 & 1929, Jeff Kent, 3x: 1998, 2000 & 2002, Chase Utley, 3x: 2006, 2008-09 and Ryne Sandberg, 2x: 1989-90)…joins Boone as only Mariners 2nd baseman with multiple seasons of 30+.• Start It Up - Homered in first 3 games of season at Texas, including multi-homer game April 6…only player in club history to homer in first three games to start season…first time to homer in first 3 games…first 2nd baseman to homer in team's first 3 games since Bobby Doerr (1941)…his 4 home runs are most by Mariners player through first 3 games.• 32 in 30 - Recorded 32 RBI in the Mariners first 30 games of the season, 2nd-most in club history through the team's first 30 games...the only Mariners player with more RBI through the team's first 30 games is Ken Griffey Jr. (35, 1997).• Who's On First - Reached base in career-best 34 straight games, April 30-June 5…during streak, hit .324 (45x139) with 30 runs, 11 doubles, 1 triple, 8 home runs, 24 RBI, 9 walks…T5th-longest on-base streak in MLB in 2016 (also: Dustin Pedroia - BOS, June 21-July 31).• Player of the Week - Named American League Player of the Week (May 2 - 8), after batting .516 (16x31) with 8 runs, 3 doubles, 4 home runs, 9 RBI and a 1.516 OPS in 7 games…marks his 7th career Player of the Week honor, first with the Mariners. • Power - Hit 39 home runs, 6th MLB second baseman with 20+ homers in 7+ years, joins Jeff Kent (12), Dan Uggla (7), Craig Biggio (7), Joe Gordon (7) & Rogers Hornsby (7). Season Totals - Hit .287 (179x624) with 82 runs, 34 doubles, 1 triple, 21 home runs and 79 RBI in 156 games. ... 2,000 Hits - Recorded 2,000th career hit Sept. 23 at Kansas City, becoming the 14th player in MLB history with 2,000 hits within his first 11 seasons…became the 5th-youngest active player (32 years, 336 days) to record 2,000 hits before turning 33. ... Consistent Pop - Hit 21 home runs, becoming the 8th Major League second baseman to hit 20+ home runs in at least 6 different seasons… joins Jeff Kent (12), Dan Uggla (7), Craig Biggio (7), Joe Gordon (7), Rogers Hornsby (7), Bret Boone (6) & Ryne Sandberg (6) on the elite list. ... Middle Infield Pop - Recorded 6th 20-home run season, becoming 14th middle infielder (8th 2B) with at least 6 20-HR seasons in a career. ... Resurgence - Hit .330 (109x330) with 52 runs, 15 doubles, 1 triple, 17 home runs, 55 RBI & a .920 OPS in final 82 games (since July 1)…in first 74 games of season hit .238 (70x294) with 30 runs, 19 doubles, 4 home runs, 24 RBI and a .621 OPS. ... Second-Half Pop - Hit 15 home runs in second half, T11th in A.L. after All-Star Break… hit 19 of his 21 home runs in final 89 games (hit 2 in first 67 games). ... Streaking - Finished season on 16-game hitting streak (Sept. 16-end of season), hitting .354 (23x65) with 9 runs, 5 home runs and 14 RBI…streak is 6th-longest of his career… 16-game streak is the longest to end a Mariners season in club history…streak was T7thlongest in American League with teammate Logan Morrison (May 24-June 10). ... Hit 'Em Up - Led Mariners with 179 hits (Nelson Cruz, 178) and has led the Mariners in hits in each of the last two seasons (187 in 2014). ... Cleaning Up - Hit .336 (88x262) with 41 runs, 10 doubles, 1 triple, 13 home runs and 44 RBI in 66 games batting cleanup…hit .254 (81x319) with 37 runs, 21 doubles, 7 home runs and 29 RBi in 79 games batting third & .238 (10x42) hitting second. ... A.L. Rankings - Ranked 7th in the A.L. in hits (179) & T7th in multi-hit games (51). ... Extra! Extra! - Had 56 extra-base hits (2B - 34, 3B - 1, HR - 21)…became 5th player in MLB history to open a career with 50+ extra-base hits in each of the first 11 seasons of a career…only Carlos Lee (first 13 seasons), Albert Pujols (12), Eddie Matthews (12) and Paul Waner (11) have recorded 50+ extra-base hits in each of their first 11 MLB seasons. ... Multi-Hit Cano - Ranked T7th in A.L. with 51 multi-hit games…397 multi-hit games since 2009 season are most in MLB (M. Cabrera - 384)…was his 7th season with 50+ multi-hit games, including each last 6 seasons...streak of 6 straight seasons with 50+ multi-hit games is longest active streak in Majors & 3rd-longest streak among all active players, trailing only Ichiro Suzuki (11, 2001-11) and Albert Pujols (9, 2001-09). ... Double Vision - Recorded 34 doubles, his 11th consecutive season with 30 or more doubles…is only player in MLB history to record at least 30 doubles in first 11 seasons (Albert Pujols did it in first 10 seasons). ... Awards - Mariners nominee for the Marvin Miller Man of the Year Award. ... Moving Along - Hit .327 (89x272) with 15 doubles, 1 triple, 12 home runs and 70 RBI with runners on base…hit .256 (90x352) with no runners on. Started 157 of 162games in ﬁrst season with Mariners…hit .314 (187x595) with 77 runs, 37doubles, 2 triples, 14 home runs, 82RBI and career-high 10 stolen bases... Hit over .300 for the sixth consecutive season, tied for thelongest active streak in the Majors with Victor Martinez: 2009 - .320,2010 - .319, 2011 - .302, 2012 - .313,2013 - .314, 2014 - .314... Mariners nominee for theHank Aaron Award…also named Mariners BBWAA Most Valuable Player…ﬁnalist for Rawlings Gold Glove Award... Ranked 4th in the AL (T5th in MLB) with 56 multi-hit games…346 multi-hit games since 2009 season are most in MLB (M. Cabrera - 340)... Recorded 37 doubles (T7th in AL), his 10th consecutive season with 30or more doubles…joins Albert Pujols as only players in MLB history to record at least 30doubles in each of ﬁrst 10 seasons... Recorded at least one hit in 120 of 157 games (76.4%), 3rd-most gameswith a hit in MLB: J. Altuve (127 of 158) and Michael Brantley (123 of 156)... Ranked sixth in hits (187), on-base percentage (.382) and batting average(.314), 4th in multi-hit games (56), T7th in doubles (37)... Hit 14 home runs, with nine coming with runners on base…hit 8 of 14 home runsover ﬁnal 68 games (6 in ﬁrst 89 games)... Led the team and T11th in AL with 12 game-winning RBI... Listed sixth amongst A.L. position players with a 6.4 WAR - Baseball-Reference.com... Ranked ffth in the AL batting .339 (38x112) with runners in scoring position…hit.364 (16x44) with RISP/2 outs and .500 (4x8, 9 RBI) with bases loaded... Reached base safely (via H or BB) in career-high 31 consecutive games(27 via hit), April 20-May 24, 3rd-longest by an AL player in 2014…batted .368 (45x121) with 18 R, 9 2B, HR, 20 RBI during streak... Pair of 10-game hitting streaks: June 2-12 (.368/14x38, 6 R, 3 2B, HR,4 RBI) and July 29-Aug. 8 (.412/14x34, 5 R, 3 2B, 2 HR, 6 RBI... Started 85 of 87 team wins, batting .344 (110x320)…in losses hit .280 (77x275)... Missed four games (May 29-June 1) with a left hand contusion first time since 2006 to not start in four consecutive team games…T12th in AL appearing in 157 games…since 2007 appeared in 1,277 of 1,296 (98%) of team games (missed 19 games in last eight seasons)... Went 2-for-4 in Mariners debut & scored 800th career run March 31 at LAA... Elected by fans as the American League starting second baseman…fifth consecutive Midsummer Classic starting for AL at second base, 6th All-Star selection…became ﬁrst AL second baseman to start fiv consecutive All-Star Games since Roberto Alomar. Hit .314 (190x605) with 81 runs, 41 doubles, 27 home runs and 107 RBI in 160 games (153 starts at 2B, 6 at DH) with the Yankees. Named the AL's starting second baseman in the All-Star Game at Citi Field, his fourth straight All-Star start, garnering 5,369,141 votes…was his fifth career All-Star selection overall (2006, '10-13)…was hit by a pitch by NL starting pitcher Matt Harvey in the first inning and removed from the game with a contusion of his right quadriceps. Finished 5th in MVP voting with 150.0 votes…finished in the top 6 in the voting for AL MVP in each of the last four seasons, including 3rd in 2010, 6th in 2011 and 4th in 2012. Won his 5th Sliver Slugger Award, including each of last four seasons: 2006, 2010, 2011, 2012, 2013…5 Silver Slugger Awards at second base are 2nd-most in history behind Ryne Sandberg's 7 awards. Made his eighth straight Opening Day start at second for the Yankees…second-most consecutive Opening Day starts by a Yankees second baseman, trailing only Willie Randolph (13, 1976-88). Hit his 344th career double May 4 vs. Oakland, surpassing Bill Dickey (343) and tying Mickey Mantle (344) for 8th place in franchise history. Reached the 1,500-hit plateau with a third-inning single May 9 at Colorado, eight years and six days after his Major League debut (on 5/3/05), marking the shortest span from a player's first Major League game to 1,500 hits in franchise history, surpassing Derek Jeter who did so eight years and 79 days after his debut. At 30 years, 199 days old, became the fifth Yankee to reach 1,500 hits before his 31st birthday, joining Mickey Mantle (1960, 28 years, 305 days), Derek Jeter (2003, 29 years, 51 days), Lou Gehrig (1932, 29 years, 52 days) and Don Mattingly (1991, 30 years, 94 days). Batted .369 (72x195) with 24 runs, 21 doubles, 6 home runs, 37 RBI and 12 walks in his final 50 games of the season (8/5-9/28). Hit his 200th career home run Aug. 20 (G#1) vs. Toronto; 16th player in Yankees history to reach the 200 home run plateau. Played for Team Dominican Republic in the World Baseball Classic, winning WBC Tournament MVP after batting .469 (15x32) with 4 doubles, 2 home runs and 6 RBI…set the record for most hits in a single WBC tournament…also named to the WBC All-Tournament team. Recorded fifth consecutive season with 40 or more doubles and 25 or more home runs, the only player in baseball history to record those statistics in five consecutive seasons. Hit .313 (196-for-627) with 105 R, 48 doubles, 33 HRs and 94 RBIs in 161 games (150 GS at 2B and nine at DH)...tied his career high in doubles (also 2009) and established a career high in home runs...made his seventh career Opening Day roster...Finished fourth in AL MVP balloting, receiving votes for third place (six), fourth (10), fifth (one), sixth (one), seventh (three), eighth (two) and ninth (one)...Earned his fourth career Silver Slugger Award and third straight (also 2006, '10-11)...is the fifth Yankee to earn a Silver Slugger in at least three consecutive seasons (also Dave Winfield, 1981-85; Don Mattingly, 1985-87; Jorge Posada, 2000-03; and Derek Jeter, 2006-09)...Received his second career Gold Glove Award (also 2010), posting a .992 fielding percentage (6 E, 726 TC) at 2B...led all AL second basemen in total chances and games started (150) and was second in the AL in fielding pct...was also named the Yankees' winner of the inaugural Wilson Defensive Player of the Year Award...Led the Majors with a .359 (138-for-384) batting average and 42 doubles off RHP...batted .343 (72-for-210) with 18 doubles, 11 HRs and 36 RBIs during the day, the second-highest day batting average in the AL behind only Boston's David Ortiz (.371)...Led all Major League second basemen in games played (161), hits (196), doubles (48), home runs (33), RBI (94) and batting average (.313)...tied the Rangers' Ian Kinsler for most runs among ML second basemen (105)...Was named to his fourth career All-Star Game, third straight as the AL's starting second baseman...went 1-for-2 in the 8-0 National League win on 7/10...also served as the AL's Home Run Derby captain (did not homer)...with Jeter elected as the AL's starting SS, the duo became just the second 2B/SS pair to earn three straight fan-elected All-Star starts together, joining Cincinnati's Joe Morgan and Dave Concepcion from 1975-77...Reached the All-Star break with 26 doubles and 20 HRs, becoming just the sixth player in franchise history with at least 20 HRs and 20 doubles prior to the All-Star break...joined Lou Gehrig (1934 and '36), Alfonso Soriano (2002), Jason Giambi (2002), Alex Rodriguez (2007) and Mark Teixeira (2009)-credit: Elias...Began the year with just 3 HRs in his first 38 games (4/6-5/17)...homered 17 times over his next 40 games (5/18-7/1)...Did not drive in a run over his first seven games of the season (4/6-13), his longest streak without an RBI to begin a season in his career and his longest such streak overall since a seven-game drought from 9/15-22/09...Hit a solo HR -- his first HR of the season -- in 4/18 loss vs. Minnesota...came in his 48th at-bat of the season...had just 1 RBI on the season entering the game...Hit his eighth career grand slam (off Luke Hochevar) and was 2-for-5 in 5/6 win at Kansas City...snapped a 63-AB homerless stretch dating back to 4/18 vs. Minnesota...was his second career grand slam off Hochevar (also 2009)...according to Elias, became the first Yankee to hit two grand slams off one pitcher since Jim Leyritz against Bobby Thigpen (1993 at Chicago and 1994 at Seattle)...Collected his 300th career double in 5/16 loss at Toronto, becoming one of two Yankees second basemen (also Tony Lazzeri) to accomplish the feat...reached the 300 doubles milestone in his 1,090th career game, setting the Yankees franchise record for fewest games to 300 doubles (previously held by Bob Meusel - 1,109 games)-credit: Elias...is one of just two Yankees -- along with Lou Gehrig -- to reach 300 doubles before age 30...Elias noted just two other active players reached the mark in fewer games: Todd Helton and Brian Roberts...Hit 11 HRs in June, his highest total for any calendar month and the second-highest home run total by a Yankees second baseman in a month behind only Joe Gordon's 13 HRs in July 1940 (credit: Elias)...Recorded his eighth career multi-HR game in 6/8 win vs. the Mets, hitting two two-run HRs off LHP Johan Santana...marked the third time he hit two homers off left-handed pitching in the same game (also 4/15/10 vs. Los Angeles-AL, Scott Kazmir and 4/29/10 at Baltimore, Brian Matusz and Alberto Castillo)...Reached base safely in a career-high 26 consecutive games from 6/20-7/20...Hit safely in a career-high -- and 2012 AL-best -- 23 straight games from 6/24-7/20, batting .400 (36-for-90) with 7 HRs and 21 RBIs over the stretch...was tied for the fourth-longest single-season hitting streak by a Yankee since 1942 (the year after DiMaggio's record 56-game hitting streak), trailing only Joe Gordon (29 G, 5/13-6/14/42), Derek Jeter (25 G, 8/20-9/16/06) and Don Mattingly (24 G, 8/30-9-26/86)...over the previous 80 seasons (1932-2011) the only other left-handed batter with a hitting streak of more than 20 games for the Yankees was Don Mattingly (24 games in 1986)...Drove in at least one run in a career-high nine straight games from 6/27-7/6...was the longest such streak by a Yankee since Derek Jeter from 5/23-6/2/04 (also nine in a row)...marked the longest streak ever by a Yankees second baseman...Was named the AL "Player of the Week" for the period ending 7/1 after batting .414 (12-for-29) with 5 R, 2 doubles, 4 HRs and 10 RBIs in seven games...led the AL in home runs, tied for first in RBIs and tied for second in hits over the span...was his sixth career weekly honor and first since 8/22/10...Hit his ninth career grand slam and second of the season (also 5/6 at Kansas City off Luke Hochevar) in 8/1 win vs. Baltimore...Went hitless in four straight games with an at-bat (8/13-18)...was his longest such streak since going hitless from 6/10-13/08 (also four games)...Established a single-season career high with his 30th home run of the season in 9/12 win at Boston...Recorded multiple hits in each of his final nine games of the season (9/25-10/3), batting .615 (24-for-39) with 7 doubles, 3 HRs and 14 RBIs over the stretch...marked his longest career stretch of multi-hit games...was the longest such stretch by a Yankee since Bernie Williams (10 straight from 8/9-20/02)...Tied his single-game career high with 6 RBIs and recorded his 10th career multi-HR game (third of the season) in 10/3 win vs. Boston, going 4-for-4 in the contest...his third-inning homer was the 176th of his career, surpassing Bobby Murcer (175) for 20th place on the Yankees' all-time list...In nine playoff games, batted .075 (3-for-40) with 2 doubles and 4 RBIs...went hitless over a 29-AB stretch between his first-inning double in 2012 ALDS Game 2 at Baltimore and his ninth-inning single in ALCS Game 3 at Detroit. Hit .302 (188-for-623) with 104R, 46 doubles, 28HR, 118RBI and38BB in 159 games (150 starts at 2B and seven at DH) with theYankees ... set a career high in RBI, ranking fourth in the Majors,trailing only Matt Kemp-126, Prince Fielder-120 and Curtis Granderson-119 ... did not go more than two straightgames without a hit ... made his sixth career Opening Day roster ... won his third Silver Slugger Award and wasnamed to the Sporting News All-Star team. ... Of his 28 home runs, 11 came with two outs ... 12 of his home runs broke a tie game. ... Had 114RBI as a second baseman in 2011, surpassing Tony Lazzeri (113RBI in 1926) to set the Yankees all-timesingle-season record for RBI in games at the position. ... Was second in the Majors with 81 extra-base hits, trailing only Jacoby Ellsbury-83 ... is tied for the third-highest totalby a Yankees left-handed batter since 1950 (Don Mattingly had 86 in both 1985 and 1986; Roger Maris had 81 in 1961) ... Hit .314 (64-for-204) with 8HR and 45RBI off lefthandedpitchers, marking the fifth-highest battingaverage among Major League left-handed hitters ...batted .310 (100-for-323) on the road, the ninth-highestroad avg. in the AL. ... Had a Major League-leading 91RBI with runners inscoring position, batting .318 (48-for-151) with 20doubles, 2 triples, and 8HR in those situations. ... Hit .444 (8-for-18) with 2 doubles, 1 triple, 3HRand 27RBI with the bases loaded ... became theseventh Yankee in the last 30 years with at leastthree grand slams in a season (also Mattingly-six in1987, and Stanley-1993, Spencer-1998. Posada-2001,Sierra-2004, and Rodriguez-2007 (andeachwith three). ... Started at second base for the American League inhis second straight All-Star Game, going 0-for-2 inthe 5-1 NL victory ... received 6,679,976 fan votes,third-highest in 2011 behind Toronto' Jose Bautistaand teammate Curtis Granderson. ... Reached base safely (via hit, walk or HP) in each of the Yankees¡¦ fi rst 24 day games in 2011 (3/31-6/22) and in 52 ofthe 55 day games he appeared in overall. ... Hit a team-high .330 (31-for-94) with 18R, 7 doubles, 8HR and 21RBI in April ... became the third player all time tocollect at least 30H and 5HR during April in each of three consecutive years (2009-11), joining Vladimir Guerrero(four straight Aprils from 2004-07) and Matt Williams (1997-99) (credit: Elias). ... Recorded his seventh career multi-HR game in 4/29 loss vs. Toronto,hitting two solo home runs and going 2-for-3 with 3R and 2BB. ... Beginning on 6/10, batted .319 (125-for-392) with 16HR and 79RBI overhis fi nal 100 games of the season (Yankees went 63-37 in those contests). ... Became the third Yankee to collect at least 20 doubles, 5 triples and15HR prior to the All-Star break, joining Lou Gehrig (1936) and JoeDiMaggio (1941). ... Was 5-for-5 with 2R, 2 doubles, and 5RBI in 7/30 Game 2 win vs. Baltimore,setting a career high in hits before being removed for PR in the sixth ... had4H in the first four innings of the game ... became the first Yankees second baseman to collect at least 5H and 5RBIin a game since Del Pratt on 8/23/20 vs. Detroit (5-for-5, 7RBI in a 10-0 win). ... Appeared in his 1,000th Major League game in 8/1 win at Chicago-AL, tallying 1,197 career hits and appearing in588 wins to that point ... according to Elias, since 1950, the only other Major Leaguers to reach those totals throughtheir 1,000th career game were Derek Jeter and Johnny Pesky. ... Hit safely in 40 of his final 48 games of the season from 8/7 on. ... Finished a single shy of the cycle for the second time in his career in 8/10 win vs. Los Angeles-AL (also 9/15/05 atTampa Bay), going 3-for-4 with 2R, 1 double, 1 triple and a two-run HR ... according to Elias, over the last 100 years,only three other players have done that in multiple games with the Yankees: Babe Ruth (three), Lou Gehrig (three)and Joe DiMaggio (twice) ... Hit .318 (7-for-22) with 2 doubles, 2HR and 9RBI in the ALDS loss vs. Detroit, tying for the team lead in hits and tyingGraig Nettles (1981 ALCS) and Lou Gehrig (1928 WS) for the most RBI by a Yankee in a postseason series of five-orfewergames... went 3-for-5 with 2 doubles, grand slam and 6RBI in the Game 1 win at Yankee Stadium, matchingthe franchise record for RBI in a postseasongame... according to Elias became the thirdMajor Leaguer with at least three extra-basehits and six or more RBI in a postseason seriesopener...was the Yankees' 11th postseasongrand slam all time and first since Ricky Ledeeon 10/17/99 in ALCS Game 4 at Boston. Hit .319 (200-for-626) with 103R, 41 doubles, 3 triples, 29HR and 109RBI in 160 games (157 starts at 2B, 2 startsat DH) with the Yankees...Collected the second-most hits in the Majors, trailing only Ichiro Suzuki (214)...among American Leaguers, rankedfifth in average, tied for sixth in runs, seventh in RBI and slugging pct. (.534), ninth in OBP (.420) and tied forninth in doubles and home runs...reachedsafely in 141 of 160 games, starting all butfour team games at 2B...led all AL secondbasemen in average, runs, hits, doubles,HR, RBI, slugging pct. and on-base pct...Received his first career Gold Glove Award,second Silver Slugger Award (also 2006)and placed third in AL MVP voting...namedto the Sporting News' 2010 All-Star team...became the seventh second baseman to win the Gold Glove and SilverSlugger in the same season, joining Dustin Pedroia (2008), Placido Polanco (2007), Bret Boone (2003), RobertoAlomar (1992, '96, '99-2000), Chuck Knoblauch (1997), Frank White (1986) and Lou Whitaker (1983-85)...Established single-season career highs with 29HR and 109RBI and tied his career high with 103R...the Yankeeswere 25-2 in games in which he homered...marked the most RBI by a Yankees second baseman since Joe Gordon(111) in 1939...drew a career-high 57BB (previous high was 39 in 2007)...Finished the season with 200H, reaching the plateau in his final at-bat of the season...became the first-everYankees second baseman to record back-to-back 200H seasons, and the first 2B in the Majors to accomplishthe feat since Cleveland's Carlos Baerga in 1992-93 (205H and 200H, respectively)...Hit .611 (11-for-18) with 26RBI with the bases loaded, the second-highest such average in the Majors and thirdmostRBI...batted .322 (55-for-171) with 77RBI with runners in scoring position...Hit .324 (33-for-102) with 4 doubles, 7HR and 28RBI in 26 games as the No. 4 hitter in the lineup (Yankees went20-6)...in 28 career games without three-time MVP 3B Alex Rodriguez, has hit .321 (35-for-109) with 28R, 5doubles, 8HR, 31RBI as the Yankees have gone 21-7...Hit .285 (61-for-214) with 13HR off left-handed pitching, and .337 (139-for-412) with 16HR against righties...his13HR and 43RBI off LH pitchers ranked third and first, respectively in the Majors...according to Elias, becamethe first Yankees left-handed batter with at least 10HR off left-handed pitching in two straight seasons sinceReggie Jackson in 1979 (10) and '80 (19)...Led AL second basemen in fielding percentage (.996), committing just 3E in 776 total chances (most TC amongall Major League second basemen)...was involved in 114 double plays, most for any Major League secondbaseman...played in 1,393.0 innings, fifth-most among all Major Leaguers...with teammate Derek Jeter's MajorLeague-leading .989 fielding percentage at SS, became the first teammates to finish a season as the fieldingleaders at shortstop and second base (in either league) since Omar Vizquel and Roberto Alomar for the 2001Cleveland Indians and the first Yankees since Phil Rizzuto and Jerry Coleman in 1949...Established a franchise-record with 81 consecutive errorless games at second base from 4/23-7/26...his erroron 7/27 snapped a streak of 37consecutive errorless gamesby Yankees middle infielders,the longest such streak infranchise history (credit: EliasSports Bureau)...Was elected to start in his firstcareer All-Star Game (was alsoselected in 2006 but did notplay due to injury)...went0-for-1 with 1SF before beingremoved defensively (IanKinsler) in the sixth in the National League's 3-1 win...according to Elias, Cano and SS Derek Jeter joined BuckyDent and Willie Randolph as the only Yankees SS/2B combos to start an All-Star game together...also joinedJeter, Joe Mauer and Albert Pujols as the only Major League players to top four million fan votes in 2010...Made his fifth career Opening Day roster and was named MLB's April American League "Player of the Month,"marking his second career monthly award (also September 2006)...finished the month with a Major League-leading.400 (34-for-85) average, 21R, 8HR, 18RBI, 65 total bases, a .765 slugging percentage...Became just the second American Leaguer to record a .400 average and 8HR in the month of April in theexpansion era (since 1961), joining Manny Ramirez w/ Boston in 2001 (.408, 9HR)...became the fourth Yankeeto finish April with a .400 batting average or better (min. 50PA) in the expansion era, joining Paul O'Neill in 1994(.448) and 1996 (.400), Willie Randolph in 1976 (.400) and Clete Boyer in 1962 (.429)...Hit safely in each of the first 10 games of the season (4/4-16)...with Derek Jeter, became the first 2B-SS duo in the ModernEra (since 1900) to each hit safely in nine-or-more of their club'sfirst games of the season - credit: Elias...became the firstYankees tandem at any position to each hit safely in each of theteam's first 10 games of a season...became the first combo in theMajors to accomplish the feat since Tampa Bay's Carl Crawfordand Rocco Baldelli in 2003...Hit safely in 27 straight April games from 4/12/09-4/16/10...according to the Elias Sports Bureau, was the longestsuch streak in AL history and one shy of the Major LeagueModern Era record held by the New York Giants' Dan McGann(28 straight April games from 1903-06)...owns a combined.382 (68-for-178) batting average over the last two Aprils,reaching base safely in 42-of-44 contests over the span andhitting safely in 40 of those games...Hit .400 in April, .336 in May and .333 in June, joining DerekJeter (1999: .378 in April, .367 in May and .378 in June) as theonly Yankees in the last 60 years to hit at least .330 in each ofthe first three months of the season (min: 50AB each month)-credit: Elias...Collected his fifth career multi-homer game in 4/15 win vs. LosAngeles-AL...both homers came off LHP Scott Kazmir, the firsttime he hit two homers off a lefthander in the same game...Was named the AL "Player of the Week" for the period ending5/30...marked his fourth weekly award, first since the first weekof August 2007...Recorded eight straight multi-hit games from 5/26-6/2, markingthe Majors' longest such streak in 2010 and longest by a Yankeesince Bernie Williams (10 straight from 8/9-20/02)...had a .576average, 19H and 14RBI over the span, becoming the first Yankeeto reach those totals in hits and RBI over an eight-game stretchsince Joe DiMaggio (.528, 19-for-36 with 4HR and 14RBI) over the first eight games of 1941, and the first Yankee with at least 19H,14RBI and a .576 average over any eight-game stretch since LouGehrig in 1936 (6/8-18, .594, 19-for-32, 6HR and 14RBI)-credit:Elias...during the multi-hit game stretch, Derek Jeter alsocollected six straight multi-hit games from 5/27-6/1...accordingto Elias, they became just the second pair of Yankees teammatesto each record multiple hits in six straight games, joining LouGehrig and Jack Saltzgaver from 7/3-7/34...Scored at least one run in a career-high eight straight gamesfrom 6/8-16, scoring 11 total runs over the span...Hit his 100th career home run in 6/13 win vs. Houston off BrianMoehler...Collected his 100th hit of the season on 6/21 at Arizona in theteam's 70th game of the season...according to the Elias SportsBureau, since 1936 when Lou Gehrig reached the century markin the team's 63rd game (the franchise record for the "quickest"to 100 hits), the only Yankees to collect 100 hits within the team'sfirst 70 games of a season are Cano and Derek Jeter (69 gamesin 1999)...collected his 100th hit of the season in his 274that-bat...only three players have reached the century mark inhits in fewer at-bats for the Yankees since 1973 (Paul O'Neill in1994 - 264AB; Dave Winfield in 1984 - 266AB; and Derek Jeterin 1999 - 267AB)...Hit a grand slam and drove in a career-high six runs in 8/22 win vs.Seattle, going 2-for-5...was his fourth career grand slam (secondthis season, also 5/28 vs. Cleveland)...Was named AL "co-Player of the Week" with Tampa Bay's Evan Longoria for the week ending 8/22...led the ALwith 13RBI and tied for the lead with 4HR while batting .333 (9-for-27) with 7R, a .815 slugging percentage anda .438 OBP...was his fifth career AL weekly award and second of the season...Went 1-for-4 in the regular season finale on 10/3 at Boston, recording his 200th hit of the season in his finalat-bat of the loss. Hit .320 (204-for-637) with a team-high 48 doubles, 2 triples, 25HR, 85RBI, 30BB and 5SBin 161 games at 2B with the Yankees... established career highs in runs, hits, doubles,and homers... ranked third in the AL in hits, tied for third in doubles and placed fourthin total bases (331)... had 67 multi-hit games, second-most in the Majors behind IchiroSuzuki's 73... struck out 63 times, tied for the fifth-fewest K's among American Leaguerswith at least 600 plate appearances in 2009...Batted .309 (68-for-220) vs. left-handed pitchers and .326 (136-for-417) vs. righties... wasthe sixth-highest average by a left-handed batter vs. LHP in the AL... his 10HR vs. lefthandedpitchers were tied for third-most in the AL among left-handed batters...Collected 203H and 25HR as a second baseman, joining Bret Boone (2001) and AlfonsoSoriano (2002) as the third second baseman since Rogers Hornsby retired in 1937 tohave at least 200H and 25HR in a season as a 2B... over the last 70 years (since 1940),only three other Yankees players have reached those plateaus - Don Mattingly in 1985and '86, Bernie Williams in 1999 and Soriano in 2002-credit: Elias Sports Bureau...Became just the third Yankees second baseman to collect 100R and 200H in the same season, joining AlfonsoSoriano in 2002 and Snuffy Stirnweiss in 1944...Along with Derek Jeter, became the fifth pair of Yankeesteammates (sixth time) each to collect at least 200 hits in thesame season, joining Lou Gehrig and Earle Combs (1927), Gehrigand Joe DiMaggio (1936, '37), Bernie Williams and Jeter (1999)and Alfonso Soriano and Williams (2002)... according to Elias,became the first set of teammates to reach 200 hits in a seasonat the shortstop and second base position...His 48 doubles tied for fourth on the Yankees all-time singleseasonlist and were the second-most all-time among Yankees2B (Alfonso Soriano, 51 in 2002)...Received three seventh-place votes for AL MVP and came insecond place in AL Gold Glove balloting... had a season-high39-game errorless stretch from 6/13-7/29...Hit the first unofficial HR in Yankee Stadium history with a secondinningtwo-run homer in the Yankees' exhibition win on 4/3 vs.the Cubs... played with the Dominican Republic in the 2009 WorldBaseball Classic prior to the season, going 3-for-13 (.231) with 2Rand 1BB in three games...Made his fourth career Opening Day roster... batted .366 (34-for-93) with 18R, 5 doubles, 5HR, 16RBI, 6BB and 1SB in April afterhitting .151 (16-for-106) with 6R, 3 doubles, 2HR, 7RBI and 7BB in29 games in April 2008... marked the largest April batting averageincrease (.215) in the Majors (credit: Elias Sports Bureau)...Established a career high with four runs scored in 4/9 win atBaltimore, going 3-for-4 with 1HR, 2RBI and 1BB... marked themost runs scored in a game by a Yankees second baseman sinceJose Vizcaino on 7/25/00 at Baltimore...Hit safely in 33-of-34 games from 9/17/08-5/1/09... according toSABR's Trent McCotter, was one of two Yankees over the last 50years to record a hit in 33-of-34 games with an official AB, joiningDerek Jeter (39-of-40 twice, 4/8-5/25/07 and 8/20/06-4/6/07)... hit.400 (56-for-140) with 30R, 11 doubles, 6HR and 28RBI over thespan...Compiled a career-high-tying and single-season-best 18-gamehitting streak from 4/12-5/1... was the longest hitting streak by aYankee in 2009... batted .363 (29-for-80) with 14R, 5 doubles, 4HRand 14RBI during the stretch... according to Elias, was the longestsingle-season hitting streak by a Yankees second baseman sinceBobby Richardson hit safely in 19 straight in 1959...Recorded his fourth career multi-HR game - and first since 8/30/07vs. Boston - in 4/25 loss at Boston, going 3-for-6 with 2R, 1 doubleand a career-high-tying 5RBI...Went a career-high 54 plate appearances without a strikeout from5/15-28... scored 21 runs and collected 23RBI over a 26-game spanfrom 5/20-6/17...Hit .330 (34-for-103) in July after posting a .327 average in July2008 and a .385 mark in July 2007... according to the Elias SportsBureau, his 109 hits during July over the last three seasons ranksecond in the Majors over the span behind Shane Victorino (110)...Snapped an 0-for-22 stretch with runners in scoring position witha two-run, bases-loaded single in the sixth inning of 7/7 win atMinnesota... according to Elias, had been the longest hitless stretch with RISP of Cano's career and the longestby a Yankee since Rondell White in 2002 (0-for-28 stretch with RISP)...Set a career high with his 20th home run of the season in 8/25 loss vs. Texas... hit his first career "walk-off" HRin the 10th inning and was 1-for-5 in 8/28 win vs. Chicago-AL... collected his 42nd double of the season in 9/16win at Toronto, establishing a career high... hit his second career grand slam and was 2-for-4 with 2R and 1double in 9/28 win vs. Kansas City...Batted .193 (11-for-57) with 5R, 1 double, 2 triples and 6RBI in 15 postseason games, reaching base safely in 11of the contests. Hit .271 (162-for-597) with 35 doubles, 3 triples, 14HR and 72RBI in 159 games with theYankees (154 starts at 2B)... batted .292 (50-for-171, 5HR) vs. left-handed pitchers and.263 (112-for-426, 9HR) vs. righties... was the seventh-highest average by a left-handedbatter vs. left-handed pitching in the AL...Ranked fifth among AL second basemen with 13HR while playing the position... allbut two of his 14 overall homers were solo...Struck out 65 times, tied with Ichiro Suzuki for the fourth-fewest K's among AmericanLeaguers with at least 600 plate appearances...Since his debut on 5/3/05, has compiled 658 hits as asecond baseman, ranking just behind Chase Utley (684)over the span (credit: Elias Sports Bureau)...Hit .246 (85-for-346) with 6HR and 38RBI in 93 gamesprior to the All-Star break... in 66 games following thebreak, batted .307 (77-for-251) with 8HR and 34RBI... is acareer .327 batter after the All-Star break, ranking thirdamong active Major Leaguers (min: 500PA), behindAlbert Pujols (.344) and Todd Helton (.342)... leads allactive Major Leaguers with a .348 (149-for-428) careerbatting average in Sept. and Oct. (reg. season only/min.300PA)...Batted .347 (114-for-329) with 56R, 27 doubles, 2 triples,11HR and 54RBI in the 87 Yankees wins he played in... hitjust .179 (48-for-268) with 14R, 8 doubles, 1 triple, 3HRand 18RBI in the 72 losses he played in... the Yankeeswere 34-11 when he recorded a multi-hit game...Hit .314 (86-for-274) as the No. 7 batter in the lineupand .235 (76-for-323) combined in all other spots... sawan average of 3.35 pitches/plate appearance, the sixthlowestaverage in the Majors...Recorded 800 total chances, most among AL secondbasemen, working to a .984 fielding percentage (13E)...Has played more games at second base for the Yankees(567) than any other left-handed batter in franchisehistory... ranks fourth all-time among Yankees secondbasemen with a .982 career fielding percentage (min.400G)... has played in 436 games at second base over the last three seasons (2006-08),second-most in the AL over the span behind Brian Roberts (445)...Made his third career Opening Day roster and was 1-for-3 in 4/1 Opening Day win vs.Toronto...Hit .151 (16-for-106) in April after batting .306 overall in 2007 and .342 overall in2006... according to the Elias Sports Bureau, was the lowest batting average during the month of April by a player coming off two straight .300 seasons (min. 50AB) since Lyman Bostock hit .148in April 1978 with California (after .336 in 1977 and .323 in 1976 with Minnesota)... was the lowest April averageamong all AL qualifiers (min. 50PA)... hit at a .297 clip (146-for-491) overthe remainder of the season...Hit game-winning, pinch-hit HR in the eighth off Al Reyes in 4/14 winat Tampa Bay... was his second career PH home run (also 6/8/05 atMilwaukee)... according to the Elias Sports Bureau, became the firstYankee to hit a go-ahead, pinch-hit homer since Tino Martinez on6/25/01 vs. Cleveland... is a career .500 (5-for-10) batter with 2HR and4RBI as a pinch-hitter...Hit solo-HR (#4) and was 2-for-3 with 2R and 1 double in 5/8 win vs.Cleveland... was his first multi-hit game since 4/12 at Boston, snappinga career-high 27-game stretch without one... was his third home runin an eight-game span (4/29-5/8)...Was 4-for-4 with 1R, 3 doubles, 1RBI and 1BB in 5/24 win vs.Seattle... reached base safely in all five plate appearances and tied hiscareer high in hits (11th time, second this season) and doubles (secondtime, also 5/30/07 at Toronto)...Batted .373 (28-for-75) with 17RBI and 11 multi-hit contests over a 20-game stretch from 6/15-7/8 as the Yankees went 12-8... led the teamin hits, average and RBI over the span, raising his season average 35points from .220 to .255...Drove in at least one run in six consecutive games from 6/22-28 (8 totalRBI), matching his career-high RBI streak (fifth time)... was part of a stretchin which he recorded at least 1RBI in nine of 11 games from 6/20-7/2(11RBI total)...Hit safely in eight straight games following the All-Star Break from 7/18-26,going 18-for-35 (.514) with 3 doubles, 3HR and 10RBI and six consecutivegames immediately following the break... according to the Elias SportsBureau, became just the fourth player to collect at least 18H and 10RBI inhis team's first eight games after the break, joining Cleveland's Earl Averillin 1936 (18H, 12RBI), Detroit's Walt Dropo in 1952 (19, 11) and San Diego'sTony Gwynn in 1988 (18, 10)... also according to Elias, became just thesecond Major Leaguer to produce multi-hit games in each of his team'sfirst six games after the All-Star break and see his team win all six games(also Cincinnati's Wally Berger in 1938)...Was 0-for-1 with 3BB in 8/5 loss at Texas... was the third time in hiscareer he drew three walks in a single game and first time in nearly oneyear (8/7/07 at Toronto)... had walked three times over his previous 39games from 6/18-8/4...Went a career-high 96 consecutive plate appearances without drawinga walk from 8/20-9/18... according to the Elias Sports Bureau, wasthe longest such streak by a Yankee since Alfonso Soriano in 2002(132PA)... averaged 24.38 PA/BB in 2008, seventh-highest in the AL...Tied a career high with four hits (fourth time in 2008) in 8/24 winat Baltimore, going 4-for-5 with 2R, 2 doubles, 1HR and 2RBI... theseventh-inning solo homer proved to be the game-winning run...Recorded his second "walk-off" hit of the season (also 5/22 vs.Baltimore)-and third of his career (also 7/17/07 vs. Toronto)-with agame-winning RBI single in the ninth on 9/20 vs. Baltimore...Tied a career-high with 5RBI (sixth time) in 9/26 win at Boston, going3-for-5 with 1R, 2 doubles and 1SF... was his most RBI in a game inexactly one year (5RBI, 9/26/07 at Tampa Bay).4 Hit safely in a season-high 11 straight games to..Hit safely in a season-high 11 straight games to close out the season from 9/17-9/28... batted .452 (19-for-42)over the stretch with 5 doubles, 1HR and 11RBI as the Yankees went 9-2... finished the season with 8H in hisfinal 14AB...Hit .446 (29-for-65) with 2HR and 19RBI in 20 spring training games, leading the Yankees in batting average,hits and RBI...Appeared in 19 games with Estrellas in the Dominican Winter League, batting .267 with 8 doubles, 1HR and 15 RBI. Hit .306 (189-for-617) with the Yankees in 2007 (157 starts at 2B) while establishing career highs in games played (160), at-bats (617), runs scored (93), hits (189), triples (7), home runs (19), RBI (97) and walks (39)...also tied his career high with 41 doubles...Was tied for fourth in the American League with 61 multi-hit games, tied for sixth with 160 games played, ranked eighth with a .329 night batting average and ranked 10th with 189 hits, 301 total bases and 617 at-bats...Led all American League second basemen with 97RBI...was the second-highest total by a Yankees second baseman over the last 50 years (Alfonso Soriano drove in 101 runs in 2002)...Since his Major League debut on 5/3/05, has the most hits as a second baseman (498) in the Majors (credit: Elias Sports Bureau)...Batted .328 (63-for-192) against lefties in 2007...was the second-highest average in the Major Leagues for a left-handed batter against left-handed pitching, trailing only Seattle's Ichiro Suzuki (.331)...His .330 average (282-for-854) on the road since his debut in 2005 is the third highest in the Majors over that span (min. 500AB)...Hit .274 (90-for-328) with 40R, 24 doubles, 4 triples, 6HR, 40RBI and 15BB in 85 games prior to the All-Star break...in the second half, hit .343 (99-for-289) with 53R, 17 doubles, 3 triples, 13HR, 57RBI and 24BB in 75 games...his 99 second-half hits were tied for fifth-most in the Majors...After hitting 3HR and driving in 33 runs in his first 79G/305AB of the season (from 4/2-7/2), had 16HR and 64RBI in the last 81G/312AB of the season (from 7/3-9/30)...Has played more games at 2B for the Yankees (408) than any left-handed batter in franchise history (credit: Elias Sports Bureau)...Ranks fourth all time among Yankees second basemen with a .981 career fielding percentage (minimum 400G)...Recorded 830 total chances in 2007, most among Major League second basemen...was involved in 136 double plays, the most in the Majors by a second baseman since Cleveland's Carlos Baerga in 1992 (138)...Drew more walks this season (39 in 160 games) than he did in his previous two seasons combined (34 walks in 254 games)...Made his second straight Opening Day start at second base, going 1-for-4 with 1R on 4/2 vs. Tampa Bay...Batted in the leadoff position for the first time in his career in 4/5 loss vs. Tampa Bay, going 3-for-5 with 1R and 1RBI...Including the final 13 games of 2006 and the first five games of this season, hit safely in a career-high 18 consecutive games...Committed a career-high three errors in a game for the first time in his career in 5/19 loss at NY Mets...Following 5/19 game, went a career-best 56 consecutive games from 5/20-7/21 without an error...according to the Elias Sports Bureau, it was the longest errorless streak by a Yankees second baseman since Steve Sax in 1991 (71 games from 5/11-8/7/91)...Hit safely in a season-high 11 straight games from 5/16-27, batting .333 (15-for-45) with 4 doubles, 2 triples and 6 RBI during the stretch...Collected a single-game career-high three doubles and tied a career-high with four hits in 5/30 win at Toronto, going 4-for-4 with 1R and 1RBI...each of his first six career four-hit games came on the road...Hit two-run HR (#4) in 7/3 win vs. Minnesota, his first home run at Yankee Stadium since 9/27/06 vs. Baltimore...had gone 112 AB without a home run, the longest homerless stretch since going 160 AB from 4/21-6/8/06...Hit three home runs in a six-game span from 7/3-8 after hitting three in his first 79 games of the season...Hit "walk-off" single in the 10th inning in a 7/17 win vs. Toronto...was the first "walk-off" hit of his career...had five extra-inning hits in 2007, third-most in the American League...Hit two-run HR (#8) and tied single-game career highs with four hits and three runs in 7/22 win vs. Tampa Bay, going 4-for-6 with 1 triple and 3RBI...was the first time in his career he collected four hits at Yankee Stadium...Drew three walks in a game for the first time in his career in 7/24 win at Kansas City (also drew three walks on 8/7 at Toronto)...Was named American League "co-Player of the Week" for the period ending 7/22...for the week, hit .500 (17-for-34) with 8R, 2HR and 9RBI...slugged .765 and had a .528 on-base percentage with 26 total bases...was his second career "Player of the Week" Award (also 9/19/05)...Hit .385 in July, ranking first in the American League, while his 42H were tied for first in the Majors...the 42H were the most in any calendar month of his Major League career...Was named American League "co-Player of the Week" for the period ending 8/5...for the week, hit .478 (11-for-23) with 9R, 3HR, 9RBI, a 1.078 slugging percentage and a .556 OBP...was his second "Player of the Week" award in a three-week span (also 7/16-22) and third of his career...Batted .458 (49-for-107) with 27R, 10 doubles, two triples, 7HR, 29RBI and 13BB from 7/15-8/7...recorded 18 multi-hit games over the 28-game span...Hit two solo-HR (#15/16) and was 2-for-3 in 8/30 win vs. Boston...was his second multi-home-run game of the season (also 8/8 at Toronto) and the third of his career...Is a career .362 (117-for-323) batter in the month of September, tops among all active Major Leaguers (min. 200PA)...Recorded 11 assists in 9/12 win at Toronto, the most in one game by a Yankees second baseman since Alfonso Soriano had 11 on 7/9/03 at Cleveland (credit: Elias Sports Bureau)...Was 3-for-5 in 9/25 loss at Tampa Bay...his third-inning single was the 500th hit of his career (in 1,600AB)...according to the Elias Sports Bureau, since Joe DiMaggio reached that milestone in 1938 (1,503AB), the only "home-grown" player to collect 500 hits for the Yankees in fewer at-bats than Cano was Don Mattingly in 1986 (1,549AB)...Hit three-run HR (#19) and tied a career high with 5RBI (now done five times) in 9/26 win at Tampa Bay, going 2-for-5...Hit .351 (98-for-279) with 53R, 17 doubles, 3 triples, 13HR, 57RBI and 24BB in his final 72 games of the season (from 7/15). Continued his evolution into one of baseball's most dynamic young hitters in only his sophomore season, hitting .342 (165-for-482) with 41 doubles, 15HR and 78RBI in 122 games with the Yankees in 2006 (115 starts at second base, four at designated hitter)...Earned his first Silver Slugger Award while leading the American League with a .364 road batting average and a .363 average versus right-handed pitchers, ranked third with a .342 batting average and tied for ninth with 41 doubles...His .342 batting average is the third-highest for a Yankee in his second season in the Majors (minimum: 400 at-bats)...according to the Elias Sports Bureau, only Joe DiMaggio (.346 in 1937) and Don Mattingly (.343 in 1984) posted higher marks in the season following their rookie year...his .349 average (191-for-548) on the road over the last two seasons is the highest in the Majors over that span (minimum 300AB in road games)...Had five hit streaks of at least nine games in 2006 (15G from 6/1-17, 13 games twice, from 4/8-26 and 9/18-10/1, and nine games twice from 4/29-5/10 and 8/14-21)...Was selected to his first American League All-Star Team in 2006 (was replaced on roster due to injury)...since his Major League debut on 5/3/05, he has the second most hits as a second baseman (311) in the Majors, trailing only Philadelphia's Chase Utley (332)--Credit: Elias Sports Bureau...Has played more games at 2b for the Yankees (249) than any left-handed batter in franchise history.-- Credit: Elias Sports Bureau...in 4/3 win at Oakland, became the third different starting second baseman for the Yankees on Opening Day since Alfonso Soriano started three straight OD games from 2001-2003 (Enrique Wilson started at 2B in 2004, Tony Womack in 2005)...made his first Opening-Day roster in 2006...Went a career-high 42 plate appearances without a strikeout from 4/9-26...batted fifth in the order for the first time in his career in 5/14 loss vs. Oakland (was 1-for-4)...equaled single-game career high with four hits in 6/1 loss at Detroit, going 4-for-5 with 1R and 1 double...His solo-HR on 6/8 vs. Boston was his first home run in 39 games (160 AB), marking the longest such stretch of his career...hit game-winning solo-HR (#4) in sixth inning of 6/13 win vs. Cleveland, the fourth game-wining HR of his career...hit in a career-high 15 straight games from 6/1-17, batting .452 (28-for-62) during the streak...it was the longest streak by a Yankee since 2004 when Derek Jeter hit safely in 17 straight games from 7/30-8/17...Was placed on the 15-day disabled list from 6/27-8/8 with a strained left hamstring (missed 35 games)...suffered the injury while running out a double in the sixth inning of 6/25 loss vs. Florida (second game of a day-night DH)...made three rehab-assignment starts at 2b for Double-A Trenton (8/4-6) and was 5-for-10 with 1R, 2 doubles, 2RBI and 3BB...was 2-for-5 as DH for Gulf-Coast-League Yankees vs. GCL Phillies (on 8/3)...Drove in at least one run in six straight games from 8/15-20 (13RBI total) and had 16RBI over a nine-game span from 8/12-20...hit three-run HR (#9) and tied a career high with four hits in 9/4 win at Kansas City, going 4-for-5 with 2R and 1 double...tied a career high with 5RBI (fourth time) in 9/13 win vs. Tampa Bay, going 2-for-3 with 1 double, 1HR, 5RBI and 1SF...hit third in the lineup for the first time in his career in 9/14 win vs. Tampa Bay, going 2-for-4 with 1R, 2 doubles and 3RBI...Hit .373 (41-for-110) in the month of September after posting a .381 average in September of 2005 (40-for-105), becoming the first player to post averages of .370-or-higher in consecutive Septembers of at least 100AB since Wade Boggs batted over .400 in three straight Septembers from 1984-'86...concluded the season with a 13-game hitting streak...according to the Elias Sports Bureau, it is the longest hitting streak by a Yankee to conclude a season since Reggie Jackson also hit safely in 13 straight games to end the 1980 season...In final 53 games of the season after being reinstated from the disabled list on 8/8, hit .365 (77-for-211) with 24 doubles, 11HR and 51RBI...the 24 doubles and 51RBI were the most in the Majors over that span...was named American League "Player of the Month" for September, batting .373 (41-for-110) with 15R, 11 doubles, 7HR, 28RBI and reached base safely in 25 of 28 games...hit .133 (2-for-15) in four Division Series games vs. the Detroit Tigers. After his promotion to the Yankees in May, stabilized the team's second base position while emerging as one of baseball's most talented rookies...finished second behind Oakland's Huston Street in the American League "Rookie of the Year" voting...hit .297 (155-for-522) with 14HR and 62RBI in 132 games with the Yankees (130 starts at second base)...Ranked first in the American League with a .335 road batting average...led American League Rookies with a .297 batting average, 78 runs, 155 hits, 34 doubles, 47 multi-hit games and 239 total bases...ranked second with 52 extra-base hits and a .534 slugging percentage, ranked fourth with 62RBI and ranked fifth with 14HR...his 34 doubles ranked second on the team (behind Hideki Matsui's 45)...Began the season with Triple-A Columbus and in 24 games was batting .333 (36-for-108) with 8 doubles, 3 triples, 4 HR and a club-high 24 RBI...hit safely in 21 of his 24 games with the Clippers, including his first 10 from 4/7-16...was recalled from Triple-A Columbus on 5/3 and made his Major-League debut that night at Tampa Bay, starting at 2b and going 0-for-3...Became the 19th second baseman to start alongside Derek Jeter with the Yankees...was 2-for-4 with 1R and 1RBI in 5/4 loss at Tampa Bay, recording his first Major-League hit with a third-inning single...doubled in five straight games from 5/10-16, the longest such streak by a Yankee since Raul Mondesi did it in five straight games from 4/1-6/03...went 15-for-27 (.556) in eight games after snapping 0-for-18 stretch with third-inning single in 5/10 win vs. Seattle...Established a single-game career high with four hits in 5/15 win at Oakland, going 4-for-5 with 1 double and 1RBI...hit his first career home run-a solo-homer in the eighth-and was 1-for-3 with 2RBI and 1SF in 5/24 win vs. Detroit...hit two-run, pinch-hit HR (#4) in seventh inning of 6/8 win at Milwaukee, the first pinch-hit HR of his career...Had career-high 13-game hitting streak from 7/9-26, batting .397 (23-for-58) with 10R, 6 doubles, 3HR and 9RBI during the streak...was the longest hitting streak by an A.L. Rookie this season and, according to the Elias Sports Bureau, it was the longest hitting streak by a Yankee rookie since Derek Jeter hit safely in 17 straight games in 1996...also hit in 34 of 36 games from 6/12-7/26...Had 20-game road hitting streak from 6/27-8/5, the longest such streak in the Majors this season and the longest in the Majors since teammate Derek Jeter hit in 26 straight road games in 2003...was also the longest road hitting streak by a rookie since Ichiro Suzuki hit safely in 25 straight road games in 2001 (credit: Elias Sports Bureau)...Recorded first multi-home-run game of his career in 9/16 win at Toronto with three-run HR (#11) and two-run HR (#12) and equaled single-game career highs with 3R and 5RBI (for second straight game)...homered in consecutive games for the first time in his career and-according to the Elias Sports Bureau-became the first player in the Majors this season to have 5RBI in consecutive games this season...is only the second rookie in the last 40 years to collect at least 5RBI in each of two consecutive games (also Brian Daubach with Boston in 1999)...First established single-game career highs in runs and RBI in 9/15 win at Tampa Bay, going 3-for-5 with double, RBI triple and game-tying, sixth-inning grand slam-the first of his Major-League career...drove in 12 runs in three game span from 9/14-16, going 7-for-15 with 7R, 2 doubles, 1 triple, and 3HR...was named the American League's co-Player of the Week for the week ending 9/18 after batting .429 (12-for-28) with a league-leading 13RBI and nine runs scored...also had eight extra-base hits, including 3HR, four doubles and triple while leading the Majors with 27 total bases...was the first rookie to win A.L. Player of the Week since Hideki Matsui (6/29/03)...Was named American League "Rookie of the Month" for September, batting .381 (40-for-105) with 22R, nine doubles, two triples, 5HR and 16RBI...hit safely in 23 of 27 games played in the month...hit .263 (5-for-19) in five division series games versus the Angels with a team-leading 5RBI...delivered three-run double in his first post-season at-bat (Game One of the ALDS at Los Angeles Angels of Anaheim). Split the season between Double-A Trenton and Triple-A Columbus, batting a combined .283(144-for-508) with 29 doubles, 10 triples, 13 HR and 74 RBI in 135 games...began the season with Trenton,batting .301 (88-for-292) with 7HR and 44RBI in 74 games...played all but four games at second base for theThunder...hit "walk-off" homer in 6-4 win over Erie on 4/10... at time of promotion to Columbus, was tied forEastern League lead in triples (8), third in hits (88), tied for sixth in doubles (20) and was tied for 10th in RBI(44)...reached base in 22 consecutive games from 4/16- 5/9...hit safely in 23 of last 31 games withTrenton...was promoted to Columbus on 6/28 went 4-for-4 with 1 double and 3 RBI in his Clippers' debut...in61 games with the Clippers, hit .259 (56-for-216) with 6HR and 30RBI...went 13-for-32 (.406) with 1HR and6RBI in first 10 games with Columbus...also went 6-for-11 (.545) with 2 RBI in three playoff games...appearedin the 2004 Futures All-Star game in Houston, going 0-2...was ranked the #2 prospect in the Yankees organizationby Baseball America. Began the season at Single-A Tampa, batting .276 (101-for-366) with 5HR and 50RBI in 90 games...on2005 YANKEESOpening Day with Tampa, went 5-for-5 with 3R and 3RBI at Lakeland...opened the season with an 11-game hittingstreak from 4/3-13...was promoted to Double-A Trenton on 7/19 and hit .280 (46-for-164) with 1HR and13RBI in 46 games...delivered game-winning RBI single in the 10th inning on 7/21 vs. Reading...was rankedthe #6 prospect in the Yankees organization by Baseball America. Hit .276 (131-for-474) with 20 doubles, nine triples, 14HR and 66 RBI In 113 games with Single-AGreensboro...led the Bats in hits, RBI and total bases (211)...was named to the South Atlantic League All-StarTeam (SS) and was tied for second in the league with his nine triples...played in 22 games for Staten Island,hitting .276 (24-for-87) with 1HR and 15RBI. Spent the majority of his first professional season with Tampa of the Gulf Coast League, hitting .230 (46-for-200) with 3HR and 34RBI in 57 games...also played in two games for Short-A Staten Island, going 2-for-8. 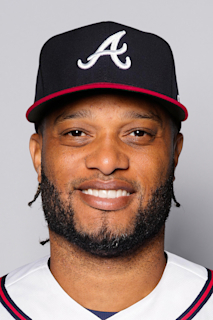 January 12, 2019 2B Robinson Cano assigned to Estrellas Orientales. August 14, 2018 Seattle Mariners activated 2B Robinson Cano from the restricted list. August 9, 2018 sent 2B Robinson Cano on a rehab assignment to Everett AquaSox. August 6, 2018 sent 2B Robinson Cano on a rehab assignment to Tacoma Rainiers. May 15, 2018 Seattle Mariners placed 2B Robinson Cano on the restricted list. May 14, 2018 Seattle Mariners placed 2B Robinson Cano on the 10-day disabled list. Fractured fifth metacarpal on right hand. May 23, 2017 Seattle Mariners activated 2B Robinson Cano from the 10-day disabled list. May 16, 2017 Seattle Mariners placed 2B Robinson Cano on the 10-day disabled list retroactive to May 13, 2017. Right quad strain. January 9, 2015 2B Robinson Cano assigned to Estrellas de Oriente. December 12, 2013 Seattle Mariners signed free agent 2B Robinson Cano.